Events in Indiana this week have created an emotional national debate about religion and freedom. Conservative Christians claim that they should have the right to not offer services for gay weddings, on religious grounds. 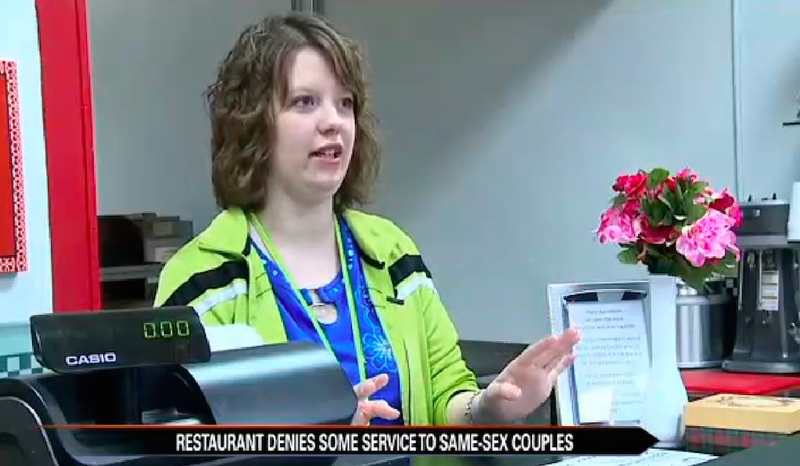 Others argue that not serving gays is an act of discrimination that violates American values. After all, opposition to interracial marriage and equal rights for blacks were also couched in religious terms. Homosexuality is not a choice but a genetic predisposition according to both the American Medical Association and the American Psychology Association. This means it is like being black – a part of who a person is, not a choice they have made. More importantly there is a fundamental contradiction in the approach from the religious right. Homosexuality is mentioned as a sin three times in the Bible. Unlike adultery, theft, and covetousness, for example, it isn’t mentioned in the ten commandments. In fact, most sins are talked about far more often than homosexuality. In the Old Testament it’s in Leviticus, right there along side admonitions against eating shell fish or touching women who are having their period. That part of the Bible also gives rules on how to treat slaves, and other clearly anachronistic laws! Jesus does not mention homosexuality at all. 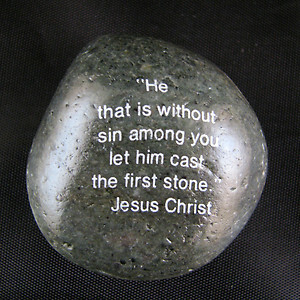 When Jesus talks about sin it’s usually in the context of forgiveness, and he warns his followers “Judge not, lest you be judged.” Paul brings it up in Corinthians and Timothy, two letters where he lumps homosexuality with a number of other things — covetousness, drunkedness, trickery, etc. — as unrighteous behaviors. Even that is a bit unclear since the Greek word being translated could mean masturbation, pedophilia or something more vague. So if there were a hierarchy of sins, homosexuality isn’t high up on what the Bible worries about. But there is no hierarchy of sins. Christians universally agree that everyone is a sinner. Therefore, singling out homosexuality as a special sin is anti-Christian. A real Christian business owner recognizes every customer as a sinner, with each sin is of equal distaste to God. Jesus didn’t turn people away because they were sinners, after all. The only time he got mad was when the capitalists of his day were using the temple for business! 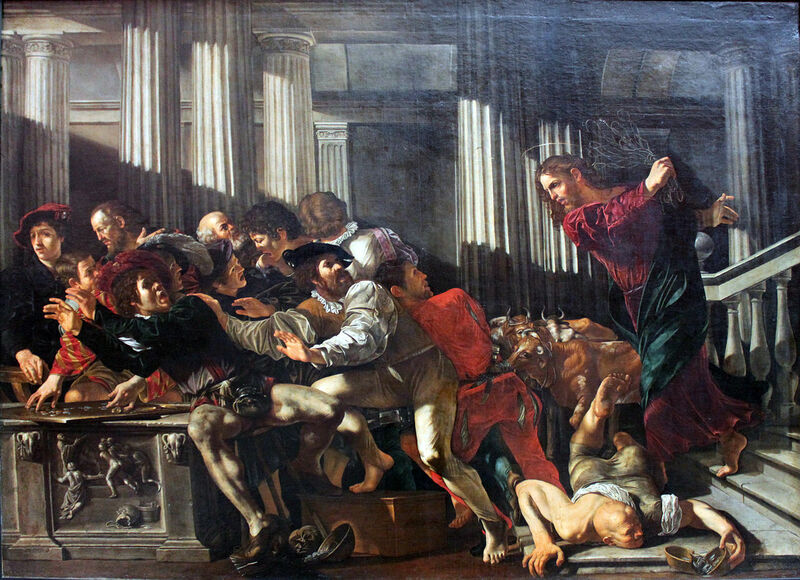 The only time Jesus gets really mad in the Bible is with the capitalists of his day! So clearly this is not really about religion, but bigotry. Still, if we expected religions to actually live up to their teachings, we’d have quite a peaceful world. Muhammad says don’t fight against people who do not want to fight, and that war should only be to defend the community as a last resort. ISIS and Al-Qaeda are decidedly un-Islamic. And how many people have been butchered in the name of Jesus? So maybe that logical argument – that this is bigotry, not Christianity at work – sets the bar too high. Maybe we need to accept that people are going to use religion to justify hate and bigotry. Disappointing but, OK, that’s our world. How much leeway should we give religious freedom if we set the bar lower? I think we can agree that groups like ISIS who commit human rights atrocities can’t claim religious freedom. The acts they engage in are crimes in and of themselves. No one can hide behind freedom of religion to justify a crime. But what about acts in the public sphere – you know, like a pizzeria catering a gay wedding. 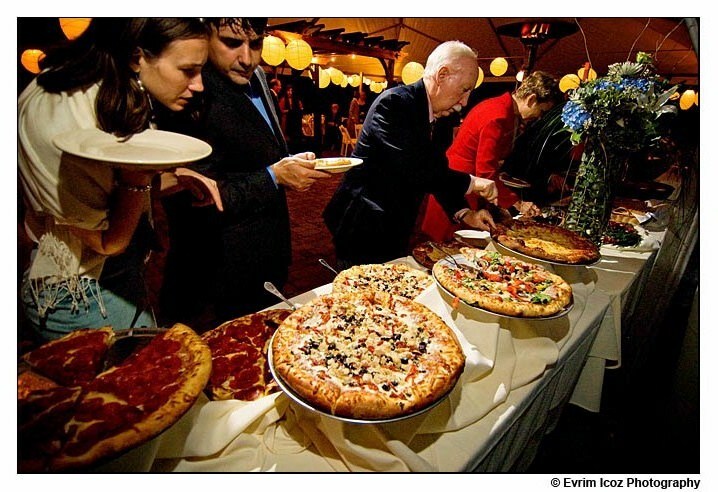 Believe it or not, pizza is sometimes a choice for a wedding reception – and why not, it’s the greatest food ever invented! Libertarians might argue that any business should be able to buy or sell to whomever it wants. That sounds good in theory, but in practice it can and in history has led to segregation and second class treatment for whole groups of citizens – those who went and saw the movie Selma this year know that! Within the church itself, religious freedom usually trumps. No clergy should be forced by the government to conduct a gay wedding. Some liberal churches may require their clergy to do so, but that’s within the religion. And if a church believes interracial marriage is wrong, well, they can refuse to conduct one of those too. However restaurants, shops and other businesses that serve the general public do not have such leeway. If you limit your customers with a rule – say, coat and tie required, it has to apply to everyone equally. You can also choose to refuse service on rational grounds – someone has disrupted a business in the past, counts cards against the rules, etc. But you can’t choose to limit service against a group that suffers discrimination – race, gender, sexual orientation, religion, etc. There is some leeway for private clubs that aren’t completely open to the public, but even there it’s problematic. Seen this way, the argument that this is some kind of “liberal fascism” makes no sense. It’s just applying a principle that has been law for decades. Just as it took until the 60’s for America to truly recognize the necessity of treating blacks as equal, it took until the early 21st Century to recognize the same about gays. Perhaps the best argument for the religious right is a cultural one – religion is a defense of tradition; traditionally homosexuality has been seen as a perversion. But the culture is changing. Due to both science and evolved thinking we now consider that old view to be false – much like the view that said women shouldn’t vote, or blacks should be slaves. When culture changes, religion has to give way – at least in the public realm. Privately they can still argue for tradition. That’s unlikely to succeed, ultimately most religions will adapt.